Every Friday night, I rush to put dinner on the table, get the kids ready for bed and check off everything on my to-do list to indulge in some "Shark Tank." If you're unfamiliar with the show, it's where entrepreneurs get to pitch their ideas and or their businesses to "sharks," who are successful entrepreneurs like Mark Cuban. The show is the epitome of the American dream. Anyone with a great idea or a proven business concept can get a piece of that dream. And many of us sit there and dream about coming up with the next best thing that will land us on "Shark Tank" and put us on the path to riches. Of course, in order for the "sharks" to invest, you'll need to have a killer idea or a profitable business that's looking to get to the next level. The sweetest part of the show is watching struggling entrepreneurs strike deals. Not only do they win the opportunity of a lifetime, but their hard work, struggles and dreams are validated and recognized. As a viewer, each Cinderella story draws you in more and more as it unfolds and you begin to identify with the entrepreneurs trying to make the biggest pitch of their life. But as I am consumed by the tear-jerking stories, the logical me wonders if the products live up to the hype. Are the products really as cool as they seem on TV? To answer that question, I tested five money-saving products that were featured on "Shark Tank" to see if they really did what they said they did. I evaluated them on quality, functionality and price. 1. Rapid Ramen Cooker promises to deliver ramen noodles within minutes for just half of the seasoning with a special reusable cooker. Mark Cuban offered $300,000 for 15 percent of the business and struck a deal. I tested the cooker, and found it to be strong and durable, even in the dishwasher. It was also so easy to use. When I'm in a hurry and hungry, it really helped, and it's about $13. 2. The Paint Brush Cover is an airtight cover for your paint brush. Laurie Greiner offered $200,000 for 15 percent of the business. The cover is very sturdy and durable. The cover is very sturdy and durable. I threw it down the stairs to see if it would crack at all and it remained intact. While the cover is plain, it serves it purpose. We had to paint some areas in our home, but with full-time jobs and kids mixed into the equation, we had to portion out our job throughout the week. The Paint Brush Cover allowed us to keep the paint on the brush without wasting it and also saved us time from washing it over and over again. I was skeptical at first, but the brush looked as good as new each time I opened up the cover. The case says that the brush can last up to five times longer, and it retails for $4.99. 3. Define Bottle, a fruit-infused water bottle, offers a healthy alternative to sweetened drinks. If you want more than your average water, this fruit-infused water bottle will make your water consumption a more tasty and enjoyable experience. Robert Herjavec made an offer for $100,000 for a 40 percent stake but no deal was struck. I found the water bottle to be high in quality. My daughter dropped it a few times and there are no still cracks. The best part of this water bottle is that the design is impeccable. My daughter often asks for a fruit juice in her lunch, but when I put strawberries and mangoes into the bottom of her water bottle and send it off to school, it satisfied her sweet tooth and her thirst. Plus, she can refill her water bottle as much as she needs to with the fruit still on the bottom. Prices range from $15 to $30, depending on size of the water bottle. 4. The Winedoctor Kit promises to preserve the taste of your wine, especially the expensive bottles that you open for celebrations. 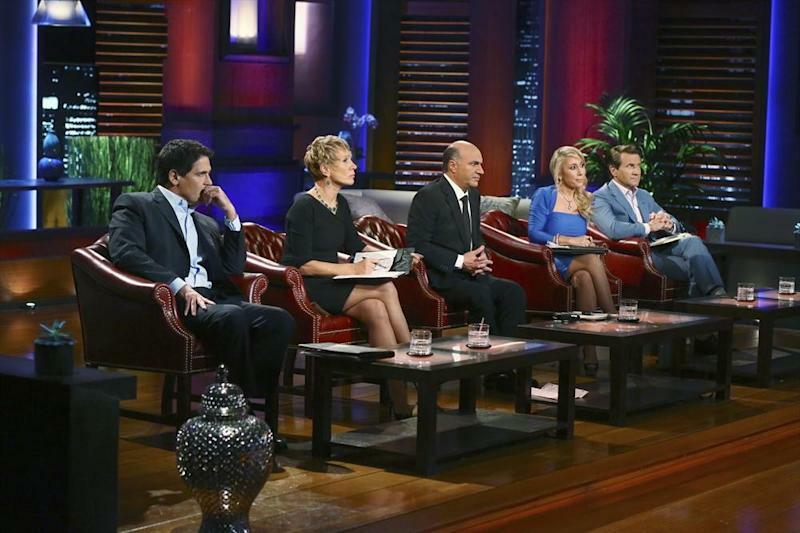 None of the sharks went for their product, but the entrepreneurs did find an investor after the show aired. The kit looks high-end; the red indicator lets you know if air is entering the bottle. It's also very easy to use; you simply insert the cork and use the pump to use the oxygen. Once you see the red indicator go away with a clear window, your job is done. Your wine is good for another four or five days. The classic kit sells for just under $25. 5. WallRx is a drywall repair kit that can fix holes in your wall. Instead of hiring your local handyman, you can use this simple kit to do the work yourself and save money. Robert Herjavec struck a deal by offering $150,000 in exchange for the exclusive rights to sell internationally. The quality is top-notch; our patch is holding up very well. For a new homeowner like me, this product is a godsend. You place the patch on the hole and after four steps, the wall looks as good as new. Recently, we had to remove some really ugly wallpaper in our master bedroom. Once we removed it, we found a few holes in our wall. Within no time, the WallRx took care of the holes and we were able to paint the wall like the holes never even existed (you do have to wait 48 hours for the compound to dry). Prices start at around $7 but the product can be hard to find in stock.